Dental x-rays are an important tool in pediatric dentistry. As the teeth and jaw mature, x-rays provide pediatric dentists an enhanced view of a child’s oral health development and the underlying problems that may lead to complications. Depending on the condition of the teeth, jaw and soft tissues of a child’s mouth, a dentist may use x-rays to make a diagnosis and form a plan for treatment. that x-rays are considered safe and only emit minimal amounts of radiation? In fact, advancements in modern dentistry have made it possible to reduce the amount of radiation children are exposed to while getting dental x-rays. Pediatric dentists take further precautions by protecting the body with a lead apron while obtaining x-rays from young patients. Does my child need a dental x-ray? When should my child begin getting dental x-rays, and how often will he or she need them? Though there are no specific guidelines for getting the first x-ray, most children have had their first dental x-rays by age 5 or 6, when the permanent teeth begin to erupt. However, a dentist may request earlier x-rays if a child is at high risk of tooth decay or shows signs of other potential complications. 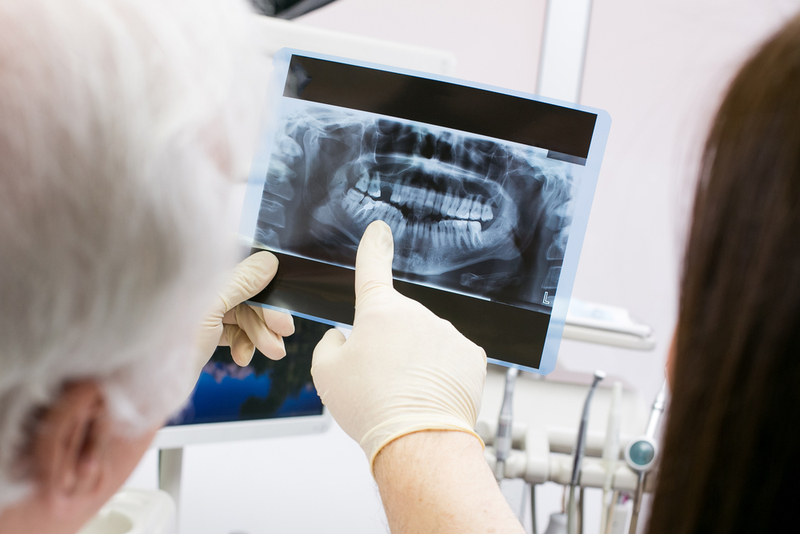 Dental x-rays may be ordered as frequently as twice per year or as little as once every few years. What will my child experience while having his or her mouth x-rayed? The x-ray process is completely painless for children. They will be seated for the duration of the imaging process and will not experience discomfort. The length of time required will depend on the type of x-rays taken. For more information about pediatric dental x-rays at our office, contact us to speak with a helpful staff member.